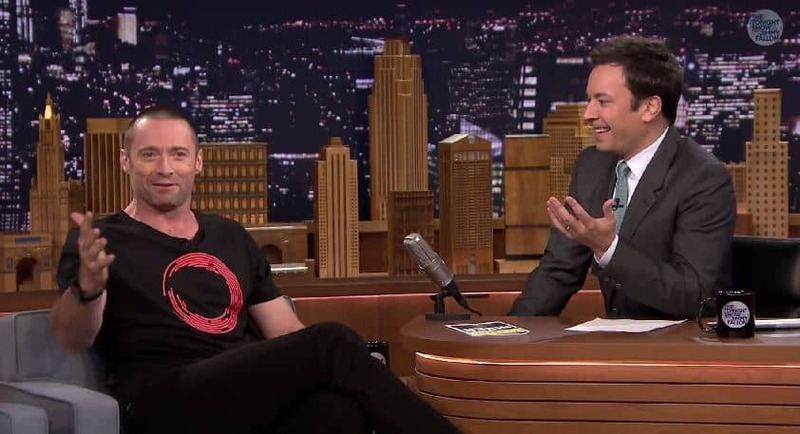 Aussie heartthrob Hugh Jackman was one of many A-listers to attend Joan Rivers glamorous funeral last weekend and even had the honor of performing a showtunes number for the crowd. Singing "Quiet Please, There's a Lady on Stage" from the musical The Boy From Oz, Jackman reportedly received a standing ovation following the "scene-stealing" performance. Speaking with Jimmy Fallon on last night's The Tonight Show, Jackman shared his thoughts on the funeral, his performance, and how honored he felt to be a part of such a phenomenal star's farewell goodbye.